If you can’t trust the people who are supposed to heal you, who can you trust? Billionaire drug baron John Kapoor of Insys Therapeutics stands accused of bribing doctors to prescribe the company’s spray distillation Fentanyl despite the addictive potential in nonterminal patients. He and other company executives now face trial in federal court. Fentanyl, a synthetic narcotic 100 times more powerful than morphine, was created to aid terminal cancer patients. However, according to federal prosecutors, Insys executives paid physicians hundreds of thousands of dollars for scarcely attended speaking events in order to bribe them to prescribe the medication to nonterminal patients with any host of painful conditions. Additionally, prosecutors argue that Insys deliberately misled insurance companies to insist they cover these off-label treatments. Other pharmaceutical companies have faced legal action over their role in the opioid epidemic. Multiple jurisdictions have sued Purdue Pharmaceuticals over similar predatory marketing behavior. Prosecutors named eight members of the billionaire Sackler family, who gained their vast fortunes primarily as executives with the drug manufacturer, as parties in a suit alleging they bribed doctors to prescribe OxyContin. When people picture opioid addicts, they often form a mental vision of a junkie in an alley with a needle in their arm. While this may ring true for some, fully 75 percent of street heroin addicts began by taking legally prescribed opium-based medications. That fact assigns the majority of the blame for the epidemic at the feet of drug manufacturers, insurance companies and individual prescribing doctors. Indeed, prescription medications are second to marijuana use when it comes to the number of adults who abuse illicit substances. More than two million Americans now face a serious opioid dependence. Many consumers assume incorrectly that prescribed medications carry little risk of harm, thinking a drug’s legality implies safety. In reality, while it remains pragmatically impossible to overdose on cannabis, many prescription medications, most notably narcotics and benzodiazepines, cause fatal overdoses at alarming rates. In the Kapoor case, prosecutors allege Insys offered illegal kickbacks to doctors to overprescribe their sublingual Fentynal-based medication known as Subsys. Prosecutors brought criminal charges against executives Richard Simon, Sunrise Lee, Joseph Rowan and Michael Gurry along with Kapoor under the little-used Racketeer Influenced and Corrupt Organization Act (RICO). Opening arguments began on Jan. 28 in Boston, and experts expect the proceedings to last approximately three months. Kapoor marks the highest-ranking executive to face criminal prosecution for in essence fueling the opioid crisis, although the official charges involve racketeering conspiracy. The charges carry a potential prison sentence of up to 20 years. For 75-year-old Kapoor, this would likely equate to a life sentence if convicted. Kapoor’s defense argues that the company exhibited no wrongdoing in inviting physicians to train other doctors through educational seminars on the proper use of Subsys. Many pharmaceutical companies offer such programs presumably aimed at reducing user error in drug administration. The law does not state that physicians cannot receive payment for leading such educational sessions. However, the hefty price tag Insys afforded physicians to present this training — sometimes as much as $200,000 — seems excessive. David Lazarus, assistant U.S. attorney, argued in his opening statement that Kapoor and others put profits over both patient safety and need. Prosecutors previously charged former Insys CEO Michael Babich and former Vice President of Sales Alec Burlakoff on similar charges. Prosecuting attorneys now plan to call both individuals to testify as witnesses to the company’s actions between 2011 and 2015. Insys paid $150 million to the justice department for an investigation into the company’s marketing methods. As a result of this investigation, Insys laid off 90 percent of its sales force dedicated to marketing Subsys. In addition, the team underwent multiple management changeovers, including the hiring of former Purdue Chief Commercial Officer Saeed Motahari as the new Insys CEO. Should Kapoor get convicted, executives in other giant pharmaceutical companies could face similar charges in the future. Those who work in the industry must evaluate their marketing methods to avoid any appearance of racketeering. Those injured by Subsys may receive legal compensation. Those who became addicted to improperly marketed opioid medications should consult with a competent personal injury attorney. Those who lost a loved one to an opioid overdose should likewise schedule a legal consultation to review their case. 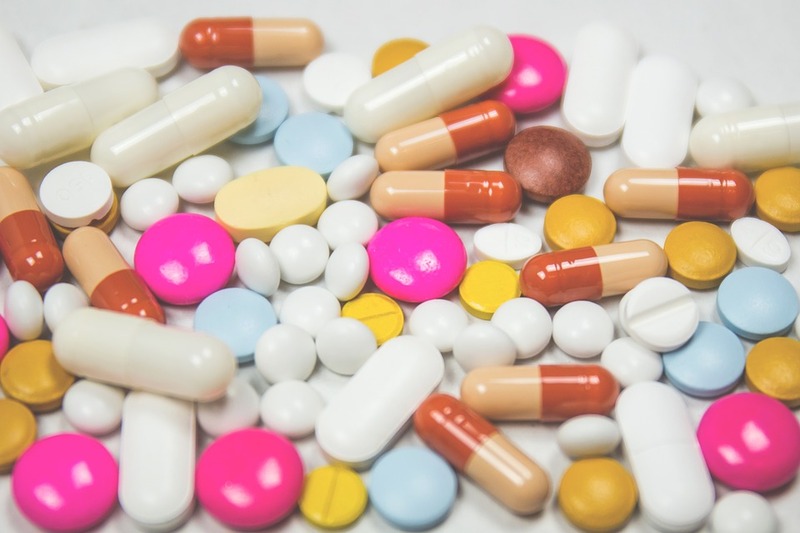 While the threat of potential litigation may cause drug manufacturers to exercise more caution in marketing their medications, individual consumers should likewise educate themselves about prescription drugs and their potential side effects. Those picking up new medications should take advantage of a free consultation with a pharmacist to review the risks. Consumers should also read prescribing labels carefully to ensure they’re taking the proper dose of medication. The Kapoor case may issue in a new age of transparency in pharmaceutical marketing techniques. Until this day comes, however, patients should protect themselves by discussing all medications with both their doctor and pharmacist, and taking the minimum amount of medication necessary to manage chronic conditions. Until we can trust those who claim to wish to cure us, we should exercise good judgment before putting any sketchy chemicals into our systems.